$75 shop credit to French Country Love. Congrats to Coastal Femme! I have sent you an email. the bottle was hidden behind some other items. I told Steve I was going to the sale the next day and what I might have found. 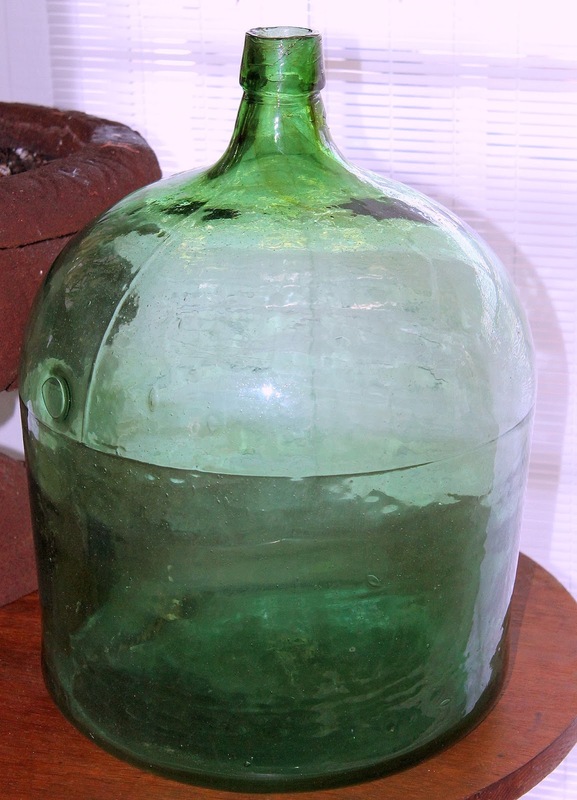 His response was “just what we need is another demijohn”. Note sarcasm! This large bottle was a steal and it is a car boy shape that I don’t already have. Of course Steve went with me, carried the bottle and never complained. 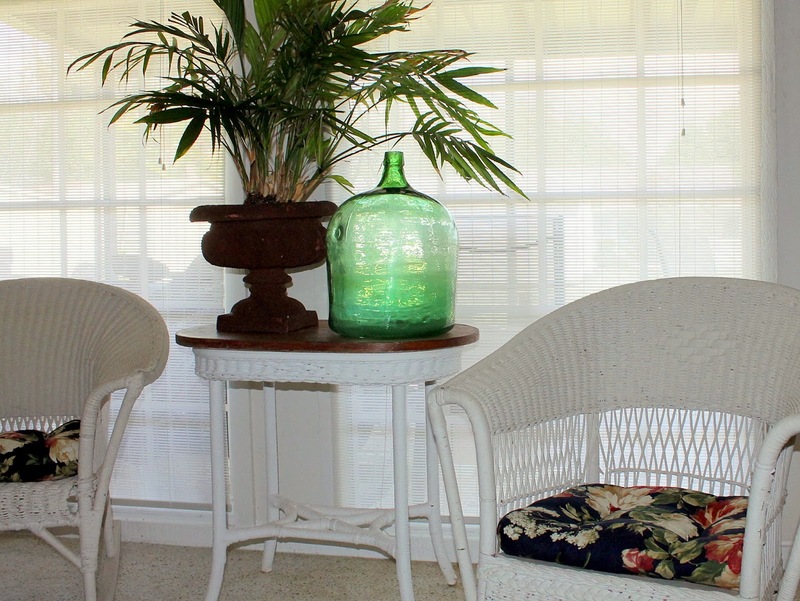 Below is my new find set up in the sun room. Looks like I may have a little obsession! How about you, what do you collect? 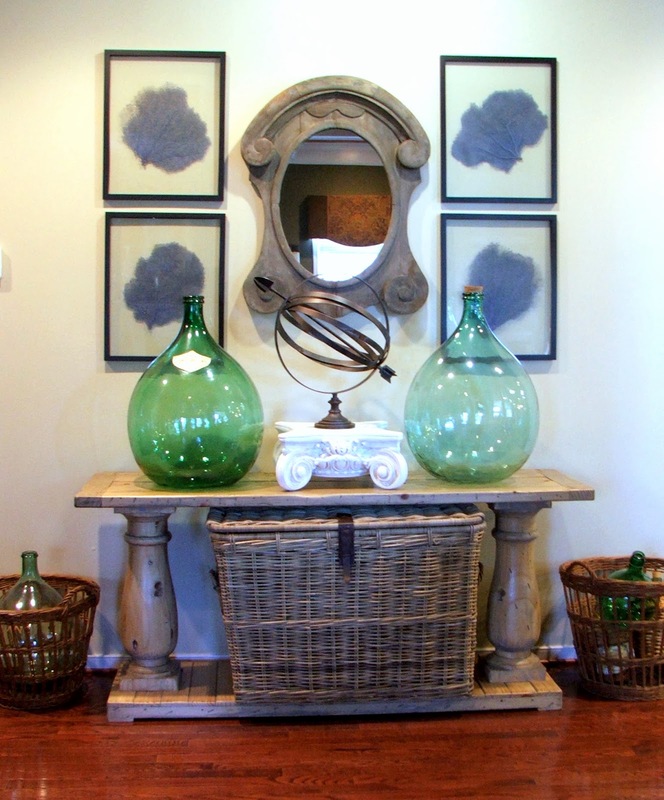 in love with these ideas Sherry….pinned….. Christine from Little Brags….ohhh and did I ever tell you that your foyer table with the huge wicker trunk is one of my favorite inspiration pics???? Sherry…you are one lucky girl! This is so pretty, I love that color! I know it must bring you down to have all of your treasures in storage but I hope soon you will have a home for everything. Looks like you may need to learn how to make wine! I love the new one, it's beautiful and you have to love a husband who carries and doesn't complain…I have one of those too! I love all of your glass demijohns! Your newest one was a great find. It is going to feel like Christmas when you finally unwrap everything to put in your new house. While cleaning out my clutter, I discovered I had a collection of vintage eye glasses I did not know existed. 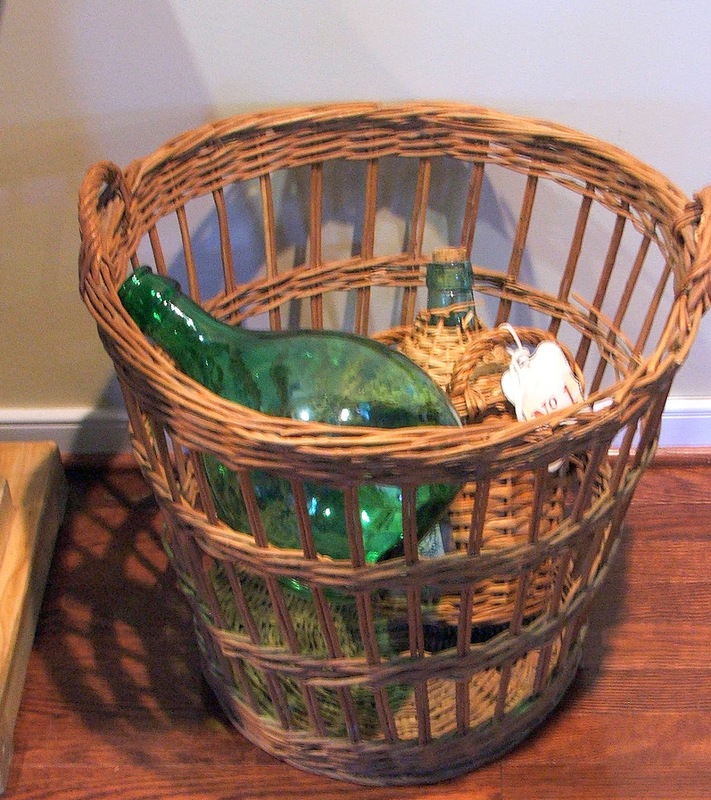 Love your demijohns especially the group in the wicker shopping basket. Believe it or not, even though I'm a 'lifestyle' blogger, I collect evening handbags. I like to display a few at a time on my bedroom wall and some on a shelf. I don't have dozens, but quite a few. 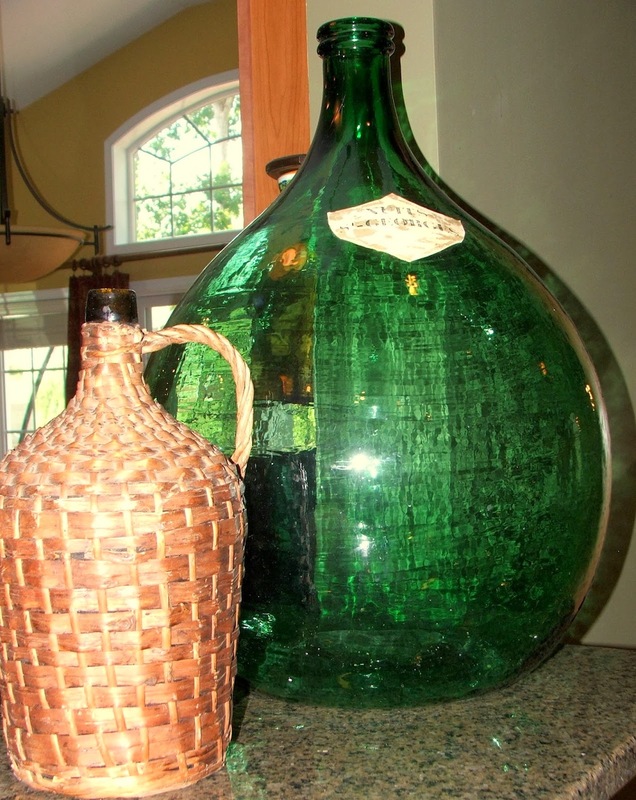 I have a green demijohn and I never knew that's what it was called. Thanks for the info. I'm following along to see where you end up Sherry. I'm sure you may not remember, but hopefully in the not too distant future we will be looking for our forever home too. Good luck! Gorgeous collection of demijohns….and that one is HUGE! I never knew they came in green glass. How beautiful! A piece of art! Spode is my oldest collection, beginning with my wedding china of 50 years ago, Blue Bird. But I can rarely resist more patterns as there aren't many Spode patterns I don't like. And now, the old Italian fish that have stollen my heart! Love it! And love those large ones in your collection! We're starting to get our house ready to sell, and it's killing me having to "get rid" of everything so it looks like no one lives here! And we have three kids, so it's almost impossible if you ask me. Anyway, glad you found a new one to add to your collection. beautiful color in the glass, it almost sparkles a rainbow! I collect snowmen, and I'm looking forward to unpacking for Christmas decorating soon! 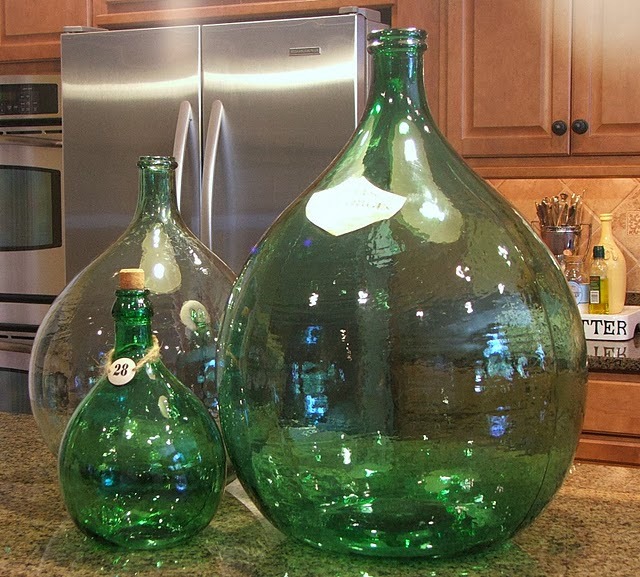 I just purchased my first demijohn, and I love your collection of them. Another fabulous find! I hope it won't be long before you have all your beautiful things out again, Sherry! Another fabulous find, Sherry! I hope it won't be long before you're able to have all of your pretty things out! There you are … right back in the saddle collecting those bargain treasures that we all love you for! Collections? 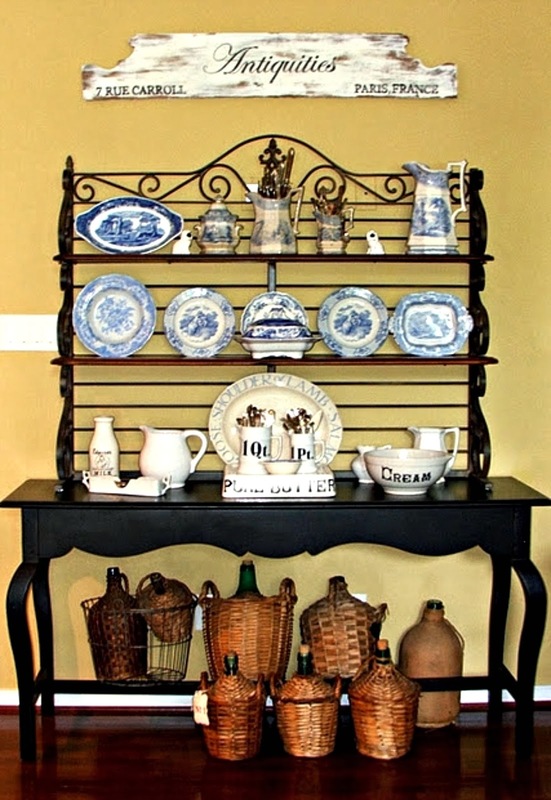 In various places through our house you can find vintage rose paintings, dozens of textile bobbins, beveled mirrors with frames of all shapes and sizes, vintage silverplated flatware, oriental rugs, and lots of other things. The hunt for reasonably priced treasures is one of my forms of entertainment … yours, too, I know. No news on the new house front yet? Not hurrying, I know. I know that whatever home you choose will be a very special place, once you get to put your personal touch on it. 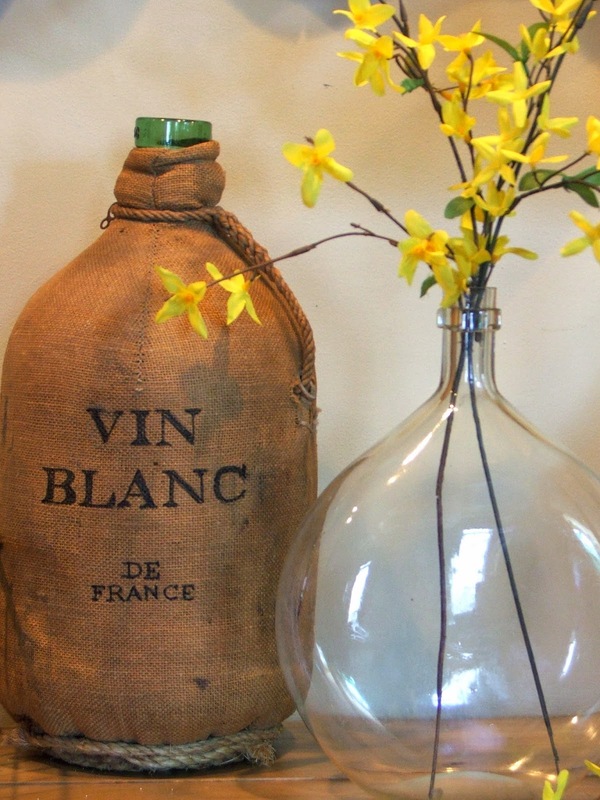 Thank you so much for featuring my post on the French Style Home Tour. I do hope you have a lovely Thanksgiving with your family, sometimes I wish we celebrated this event in New Zealand. We have to wait a whole year for Christmas with nothing in between.